Gratitude is a powerful emotion. When I feel grateful and appreciative about something, I attract more of that thing into my life. Appreciation is like a giant antenna that broadcasts my wishes to the universe. I send out my gratitude and receive so much in return. I am thankful for the wonderful people in my life. My friends and family are important to me. I remind myself of this fact each day. The love I have in my life fills me with appreciation and gratitude. I appreciate my home. I am thankful that I have a place to live. I am safe and comfortable. I enjoy living in my home and look forward to returning there at the end of each day. I appreciate my job. My career is fulfilling and interesting. I love being able to pay my bills on time each month. I appreciate my boss and co-workers. I am grateful for all that my employment contributes to my life. I am grateful for my health. My health is a priority for me, and I am grateful for the good state of health I enjoy. I appreciate my mind and body. I even appreciate the negative experiences in my life. These experiences are learning moments and allow me to be more grateful for the positive experiences in my life. Challenge is good for me. Today, I remind myself of my many blessings. I am grateful for everything good in my life. 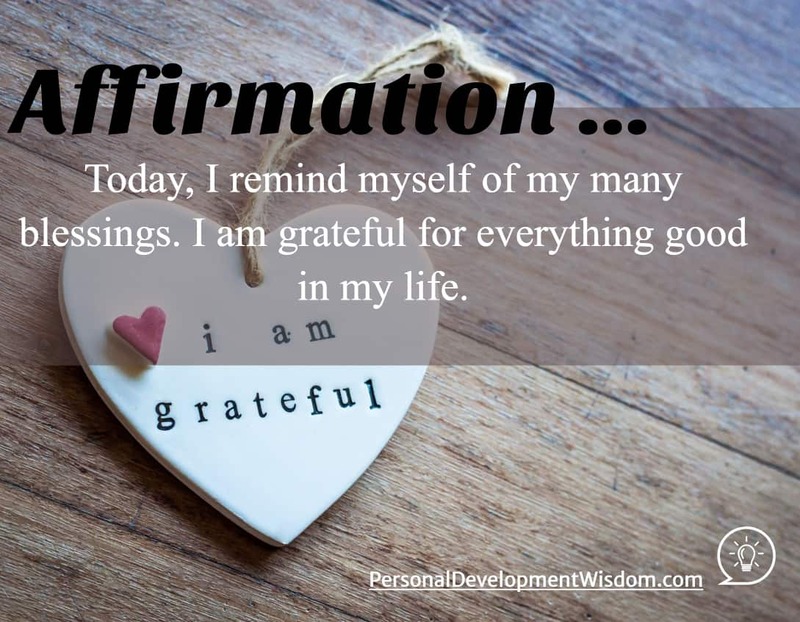 How do I feel when I am grateful? What do I view negatively in my life? Can I find a way to appreciate those things? What are the 10 things I appreciate the most in my life?